Snap's latest marketing obsession is all about location, location, location. For young consumers, Snapchat is the place to be, and Snap wants to tap into that influence by telling them where to go next. Ever since the company introduced geofilters in 2014, Snap has been determined to create a symbiotic relationship between places, brands and people. Snap stole the show at Cannes Lions last week by setting up a full-sized, bright yellow Ferris wheel, complete with a festival-themed geofilter. Custom Snapchat geofilters are the must-have gift for weddings, birthdays and graduations this year, and paid submissions have increased to tens of thousands per day. Together with recently-added Geostickers, where a post is shared seems to be as important to Snap and its users as what is shared. 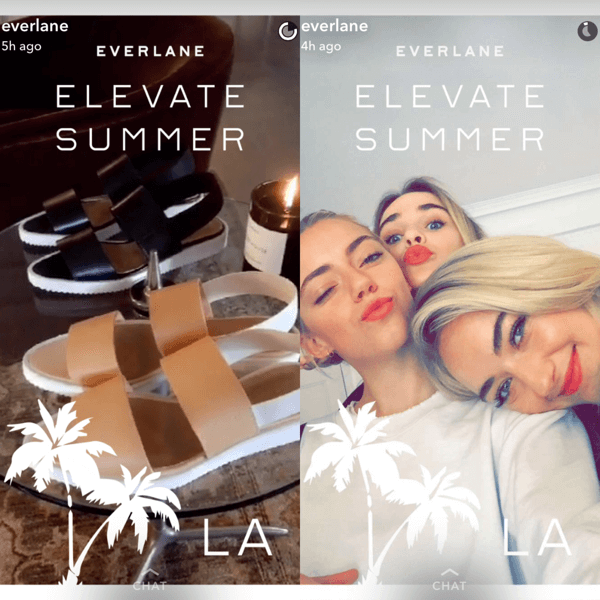 Brands quickly began teaming up with influencers to post sponsored geofilters, such as with Everlane’s Elevate Summer campaign. The fashion brand used branded geofilters for its summer collection paired with influencers who previewed the line. Since its initial public offering in March, Snap is under pressure to prove its return on investment and mass appeal among millennials to potential advertisers. In April, they launched Snap to Store, a measurement tool that tracks foot traffic attributed to seeing an ad. A test campaign for Wendy’s featured a sponsored Snapchat geofilter promoting the Jalapeño Fresco Chicken Sandwich. The campaign “drove over 42,000 incremental people to visit one of the burger chain’s various locations within seven days,” The Wall Street Journal reported. In June, Snap acquired online-to-offline attribution provider Placed, a company that tracks consumer behavior throughout the buying journey—another strong indication of Snap’s obsession with geolocation. Just-added Snap Map allows users to see where their friends—or favorite influencers—are at any given time if the person they follow opts in to location sharing. While the Snap Map announcement video shows friends locating friends, there’s no reason an influencer couldn’t arrive at a sponsored location, turn on location sharing and invite followers to check it out—although a security detail may be in order. This new feature has raised a number of concerns for safety—especially among children and online personalities—but can affect anyone in a negative way if misused. Those between the ages of 18-to-24 years old experience the highest rate of stalking, according to the CDC, which just happens to be largest segment of Snapchat’s audience. Snap Map shows exactly where a user is—down to the address and part of a building—every time Snapchat is opened.